DX Mail operates a niche market in generic, regional and personalised postcard stamps. 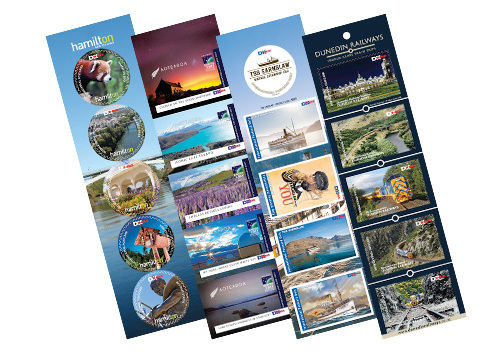 We also offer generic and personalised postcards and several souvenir products through our agency relationships. Browse our range below and contact us today to enquire about stocking these products. Ask us about options to personalise products for your location or experience. Our popular postcard stamps are available at key i-SITE’s, souvenir shops, bookshops, convenience stores, museums/galleries and hotels/motels nationwide. We have a comprehensive mailbox and mail exchange network - click here for mailbox locations to help you find a convenient posting point or contact us direct. We'll be happy to assist! 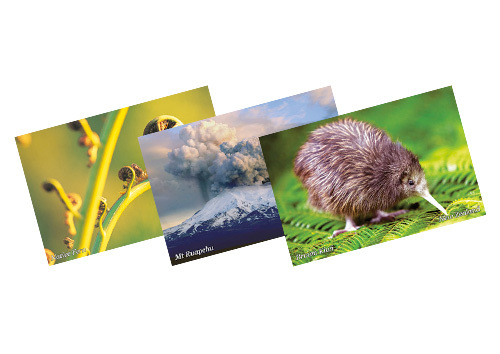 As mementos or to mail, our stamps illustrate the culture and scenery of New Zealand. ‘A picture is worth a thousand words’ - many of our postcards have matching stamps. 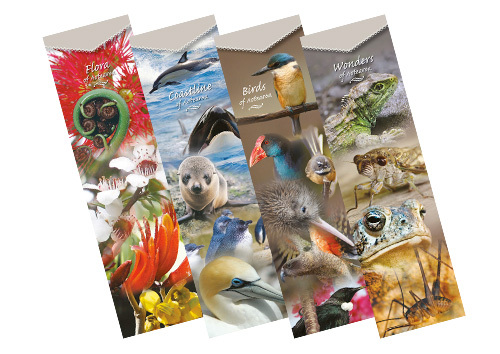 Our bookmarks are beautiful keepsakes that are easy to post or carry home. This lovely souvenir is just one example from our beautiful bookmark collection.